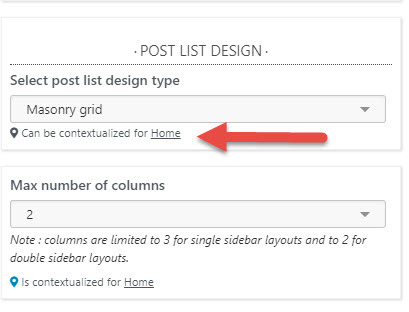 This documentation describes the process of designing the lists of posts (home blog, categories, search results...) in the Hueman Pro theme. It also explain, with use cases, how to set a default grid type site wide but a specific grid on a particular context: like the home page displaying the blog. What type of grid styles are available? How to set the number of columns? How to enable the infinite scroll? How to set a default grid type site wide, and to set another one to a particular context? 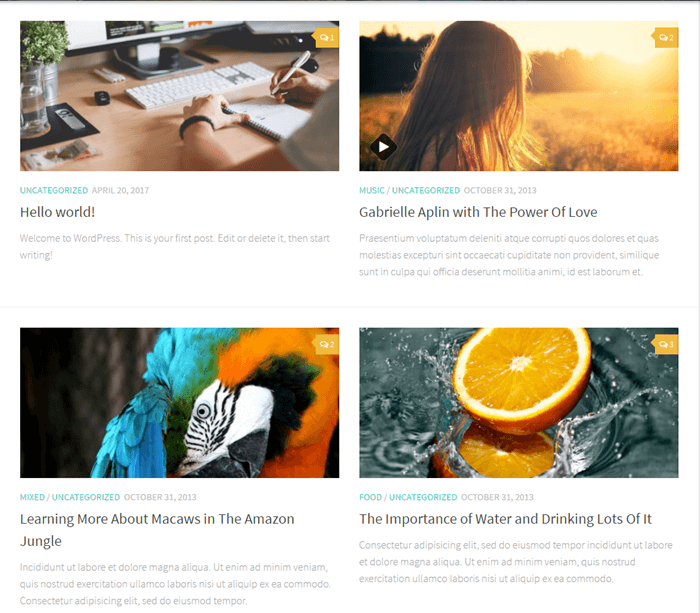 In most of the cases, WordPress sites display their posts listed one after the other. With the Hueman theme, there are always more ways of doing things and so it is with post lists designs. In the Hueman Pro theme this feature has been further enhanced! 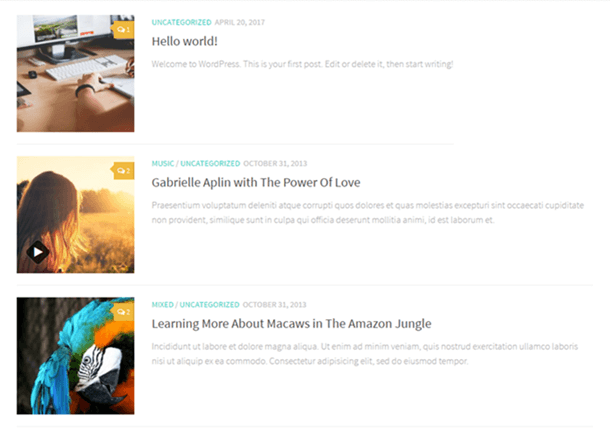 With the Hueman Pro theme, in addition to the various post list design type, you can customize the maximum number of columns that will compose your grid. N.B. 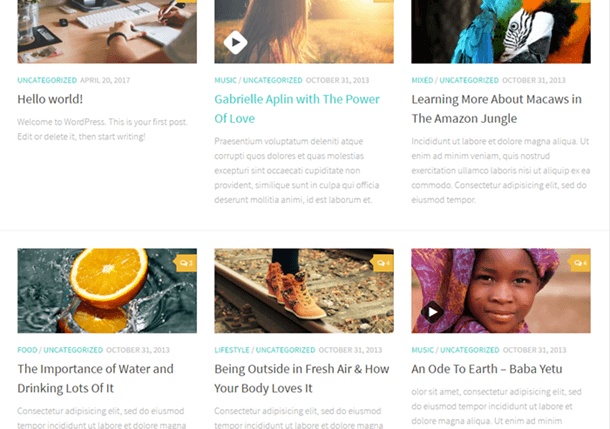 this option is available only for the Classic grid and Masonry grid post list design types. Why do we say maximum number of columns? 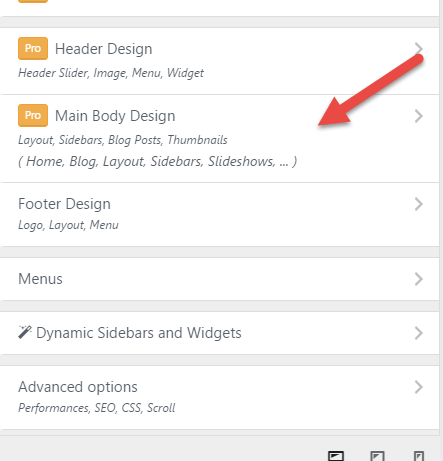 The number of columns will be limited to 3 for single sidebar layouts and to 2 for double sidebar layouts. The number of columns will adapt to the window's width: the number of columns will be limited to 1 for small devices. Infinite scrolling is a web design technique to enhance the interaction behavior on pages and lists: as the user scrolls through content, additional content is loaded automatically in the same page. It offers an efficient way to speed up your website, and to browse a large set of posts, without having to move to another page, enjoying, this way, a great responsive experience. 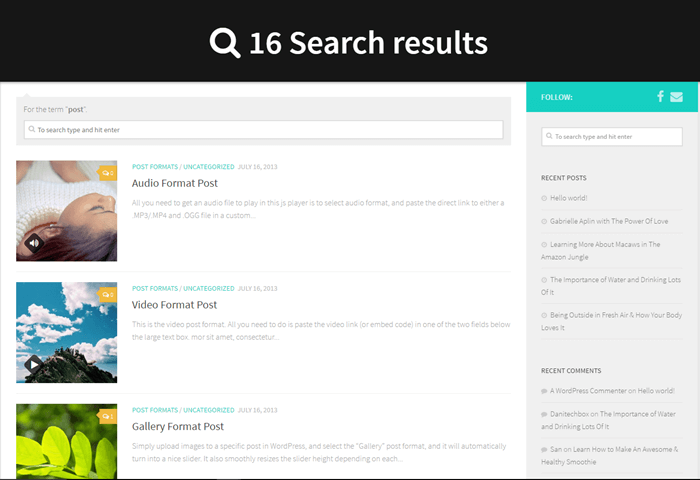 In your post lists pages you should now be able to load your posts by just scrolling the page. While scrolling you'll see your posts revealing with a fancy entrance effect! N.B. The Infinite Scroll option is not previewable when customizing, even when the option is checked. It is only visible on your front end. 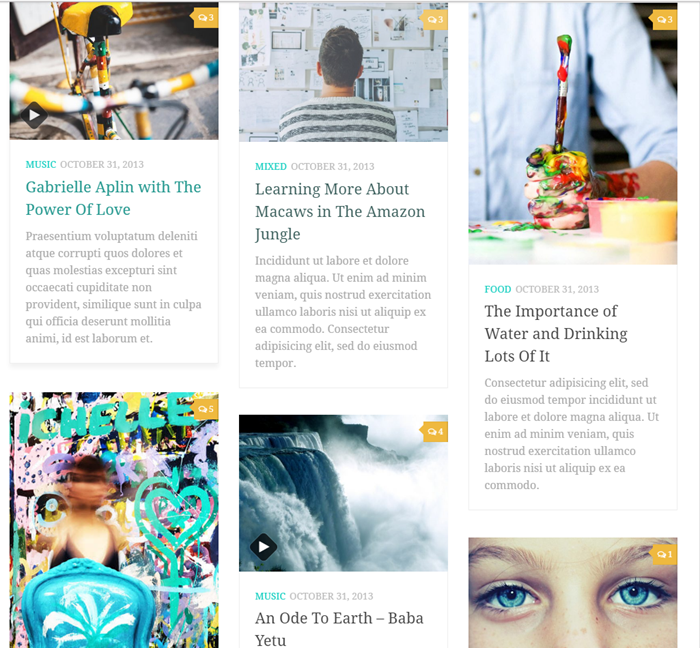 In this example, you want to set a particular grid type for your home blog, for instance the Masonry grid. 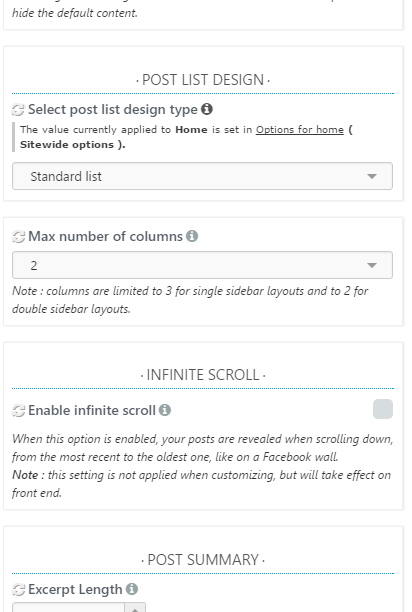 But you want this only applied to your home, while you want to display all your other lists of posts with a different design, for instance the Standard list.